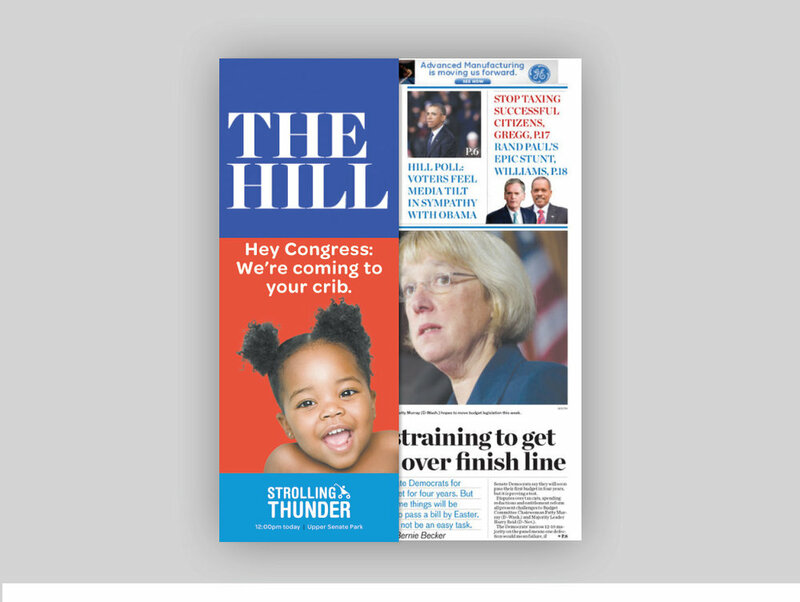 Print advertisements in major news outlets like The Washington Post, Politico, The Hill and Wall Street Journal were published in advance and on the day of the event. 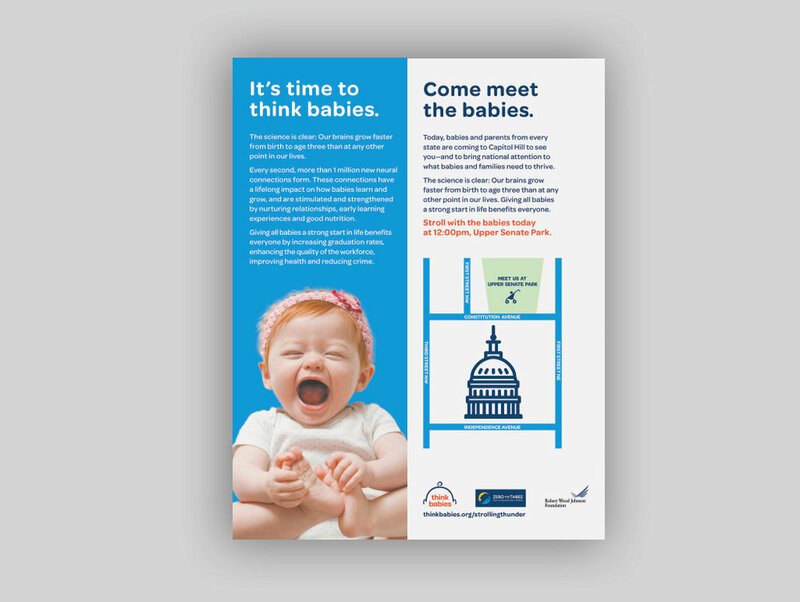 Different levels of messaging (from short and sweet, to the full story of baby brain science) was considered based on the space available. Digital advertisements were published across popular news outlets like The Washington Post, The Hill, and Politico. 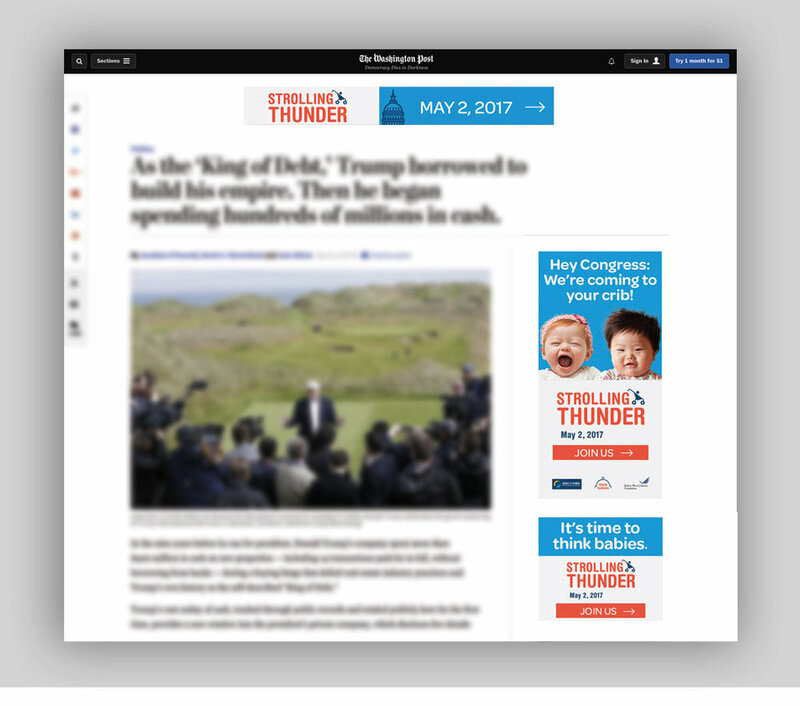 The media buy included a range of animated html5, gif and static ads. The energetic tone of the campaign was carried through into motion. The bold visuals popped in the sterile news environments.